Almost every custom-fit apparel company that has existed to date relies on having the customer take their own measurements. Some companies have gone to great lengths to avoid this by using advanced algorithms. Some generate fit matches based on an intricate questionnaire, like Proper Cloth. Others make informed predictions from fewer measurements, like Body Labs. The idea of custom fit seems precedented; returns are a major profit loss at nearly 25% and the global apparel market is estimated to be a $3 trillion market. When it comes to 3D Scanning, the bottle-neck is the scanner. As technology becomes cheaper, faster, easier, and more accessible, this may cease to be the case. At a small, boot-strapped start-up in San Francisco, Steven Heard is leading Clinton-Park into the future of custom denim. Having been at Levi’s for many years, working on the custom-denim program in the 90s, as well as at several customization start ups, Steven has developed a unique pattern system equipped to create patterns for multiple shape and size profiles. 2- Show up to be scanned. Get in their 3D scanner, a product by SizeStream, an offshoot of TC2. The scan shows up as a point cloud with very little in the way of intimate details. 3- Chat it up with their in-house denim experts. 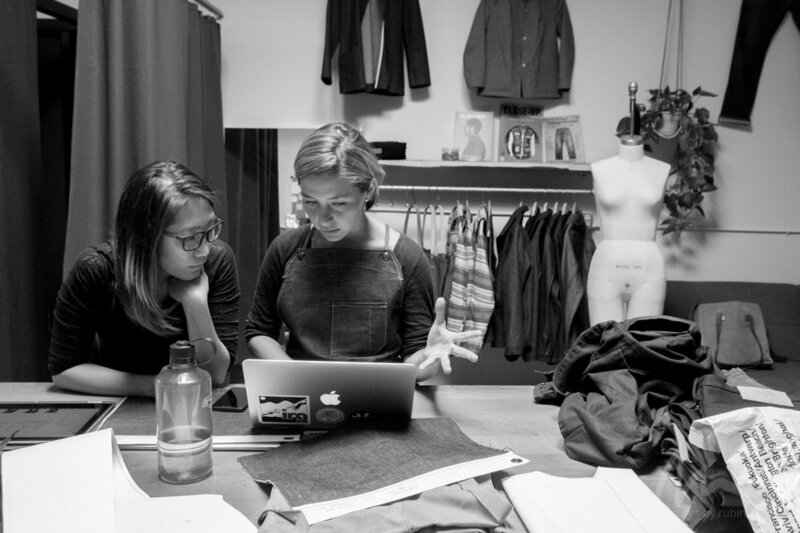 They will walk you through fabric recommendations, fit preferences, and style preferences. 4- Approximately 2 weeks later, you will have your very own custom-fit jeans completed. It’s recommended at that point that you come in for a fitting so that you can review your jeans with the Clinton-Park staff. Your name will be printed on the tag. I might also add, the jeans from Clinton-Park are made very much by hand in the same studio where you get your body scanned.